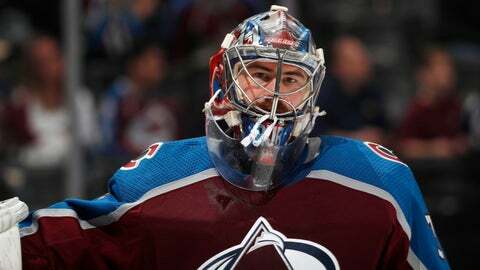 DENVER (AP) — Colorado goaltender Philipp Grubauer has found such a groove lately that he is turning back just about everything — including insinuations. Last season, the Avs were almost content with returning to the postseason and lost in six games to Nashville in the first round. This season, it’s more a feeling they belong. They take on a high-scoring Flames team that’s led by Johnny Gaudreau, who had 36 goals and 99 points.